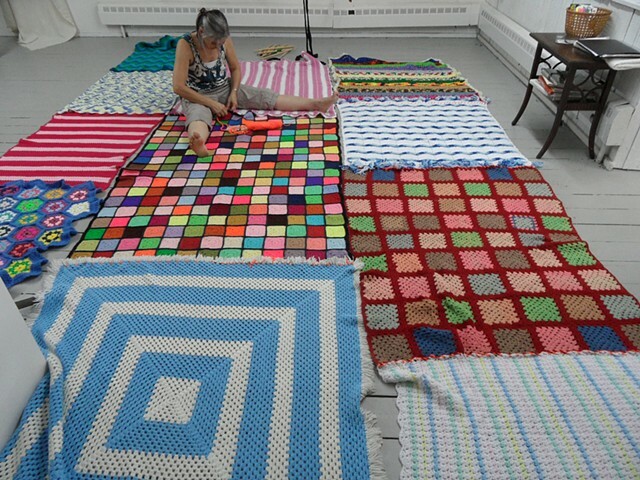 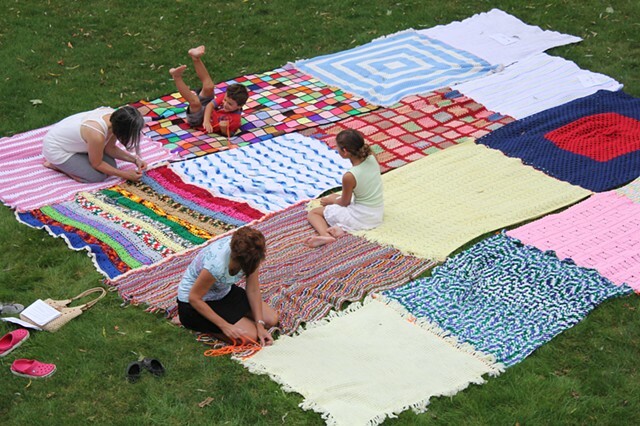 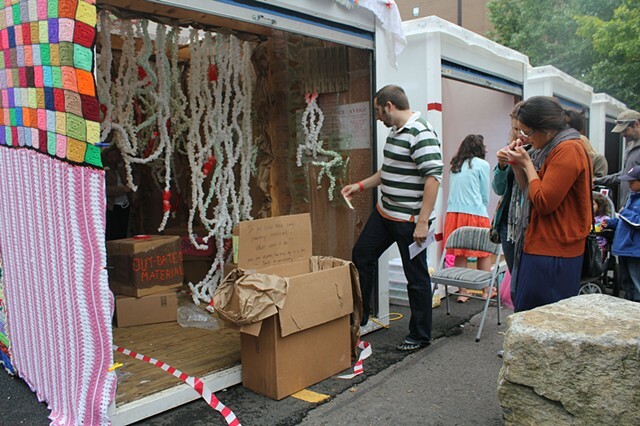 Self Storage, stitching the yarn bomb. 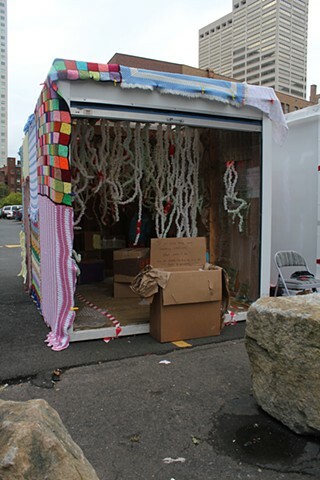 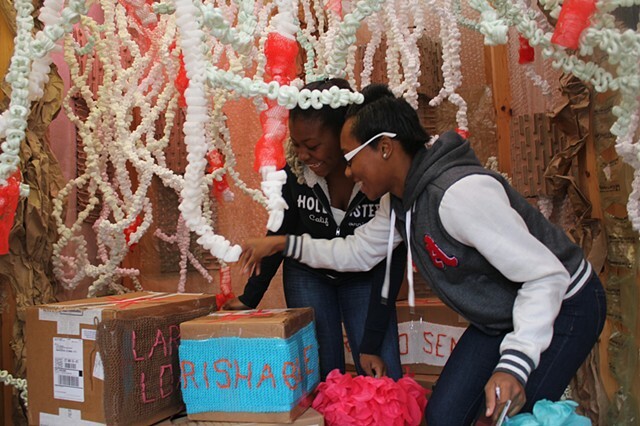 Installation in a moving POD as part of EnvisionFest Hartford. 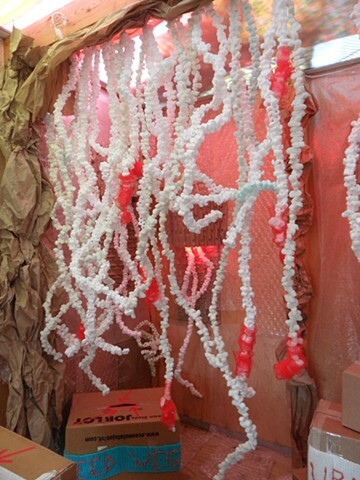 I approached the installation as a direct interpretation of the POD as a structure to move and store personal belonging. 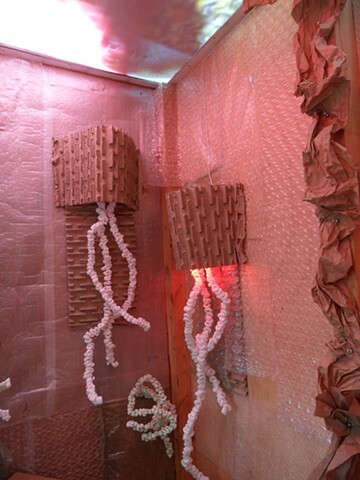 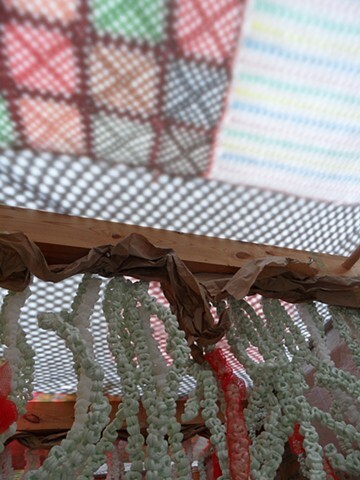 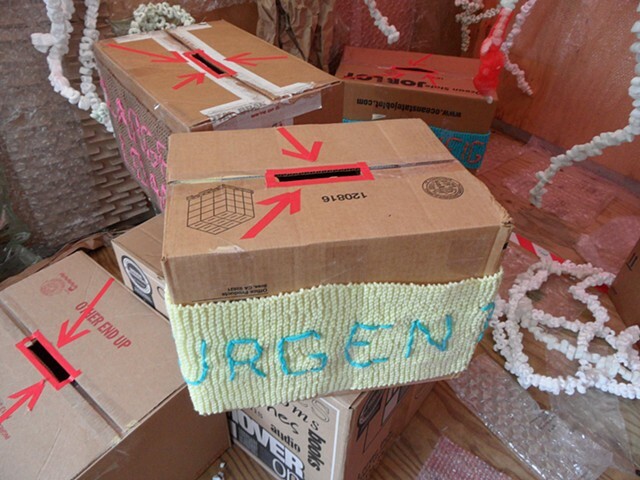 The artwork was created with repurposed packing materials, I essentially sculpted with all reclaimed supplies: bubble wrap, packing peanuts and pillows, cardboard boxes, netting, and molded protective cardboard. 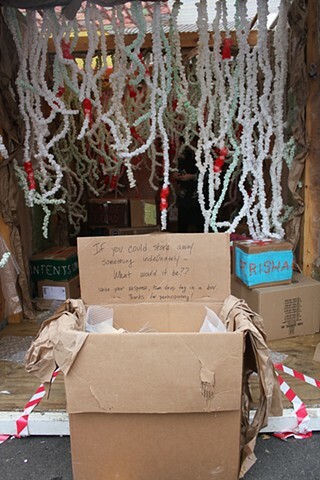 Visitors were invited inside and to participate in a prompt.